The incidence of extreme weather events, particularly drought is predicted to increase in the future and alter the ecosystem process. 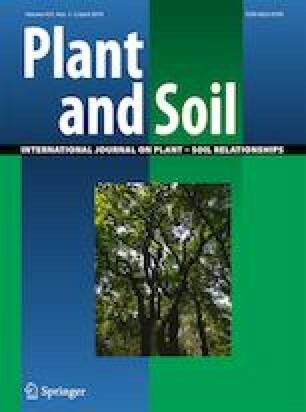 Despite that the interplay between plant species play a critical role in reducing the vulnerability of soil ecosystem to drought, whether the presence of legumes in plant community could maintain nutrient uptake of focal species by stabilizing soil biota and ecosystem processes under drought conditions remains essentially unexplored. In a field experiment, the soil biota community and ecosystem processes were studied using four planting systems contain monoculture of focal species Zanthoxylum bungeanum, mixed cultures of Z. bungeanum and Capsicum annuum, Z. bungeanum and Medicago sativa, and Z. bungeanum and Glycine max subjected to drought. Drought had no significant effects on soil microbial biomass in monoculture and mixed cultures, but significantly increased microbial stress indices. Drought significantly increased the densities of total nematodes, herbivores, bacterivores and fungivores in Z. bungeanum and M. sativa mixed culture, but significantly decreased the total nematodes, bacterivores and fungivores in Z. bungeanum and G. max mixed culture. Under drought stress, leaf nitrogen concentrations of Z. bungeanum were significantly higher in Z. bungeanum and M. sativa mixed culture than Z. bungeanum monoculture and the other mixed cultures, this is mainly due to higher microbial activity and net nitrogen mineralization rate. Differences in resistance traits of neighbors had additive effects and rapidly reflected in different soil ecosystem processes and nutrient uptake of focal species. Our results revealed that specific legume species intercropping management could stabilize focal species by maintaining soil ecosystem processes under drought condition. This study was supported by the National Key Research and Development Program of China (Grant Nos. 2016YFC0502101 and 2017YFC0505000), the National Natural Science Foundation of China (Grant Nos. 31370632, 31500517) and by the Ministry of Sciences and Technology of China (Grant No. 2015BAD07B050304).